Jerusalem: Israel Exploration Society and Biblical Archaeology Society, 2011, 368 pp. Yigal Shiloh died in November 1987 at the age of 50. We knew each other for ten years and had reached an understanding that together we would publish a popular book on the City of David archaeological dig. 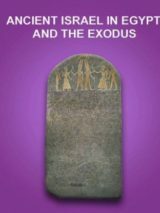 Ronny Reich’s agreement to write this book, which includes a summary of Yigal’s finds, is meant both as a tribute to Yigal and an attempt to make good on that original understanding. Reich’s book tells not one, but three stories. The first story is “The City of David: The History of its Excavation and Study.” Here Reich describes in chronological order the excavations that have been conducted in the City of David “from the mid-nineteenth century to the present.” Readers will be pleased to find not only photographs of each excavator but also color maps showing where each dug. Reich’s descriptions of excavations other than his own are brief and focused on issues raised by his own dig. Readers looking for the description of Shiloh’s excavations promised in Kaplan’s foreword may be disappointed to find fewer than 20 pages devoted to this subject. Not surprisingly, Reich’s description of his and Shukron’s excavations is the longest and most detailed. Each dig area is described in the order in which it was dug. Because elements of key features such as fortifications and water systems were discovered in different areas dug during different years, Reich ends many descriptions with a promise to return to that subject later, which he does in the second story. The second story is “A Brief History of the City of David.” Here Reich describes “in a condensed form, the history of the hill based upon the main archaeological discoveries made here and ancient historical records in which it is mentioned and described.” Readers hoping to see plans showing the size and shape of occupation in the City of David during any period other than the late Iron Age (the First Temple period) will be disappointed because Reich’s conclusion is that the evidence is not sufficient to draw such plans. But no one will be disappointed to read Reich’s original ideas that the Gihon Spring may initially have been known as “En Shemesh” mentioned in Joshua 18:15–17, that the Siloam Tunnel may be longer and more circuitous than originally planned, and that the Tyropoeon Valley mentioned by Josephus may have been named for fishmongers from the coastal city of Tyre. Reich admits that in 1995 he began his journey of excavating in the City of David reluctantly and skeptically. But by 2004, when steps leading to the Pool of Siloam were accidentally unearthed, Reich’s level of enthusiasm had risen so much that he fought for the ability to continue digging there. Because, like Macon Leary, the travel writer in Anne Tyler’s novel The Accidental Tourist, Reich is a master of the minimal, the juiciest details about his personal challenges must be read between the lines. 1. (New York: Ballentine, 2002). Jane Cahill West served as senior staff archaeologist for the Hebrew University’s City of David Archaeological Project directed by Yigal Shiloh from 1978 to 1985. She is publishing the pottery from Area G, which includes the Stepped Stone Structure. She is an attorney and career clerk for a federal judge in Houston, Texas. 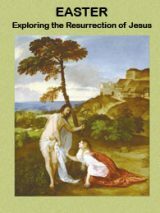 Jane Cahill West’s book review originally appeared in Biblical Archaeology Review, Jul/Aug 2011, 64, 66.